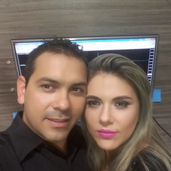 Sobre mim My name is Andrey Souza, I have been a Forex trader for 5 years. My goal is to be able to contribute to your financial success, in a professional manner and with risk management. My operations are based on Macroeconomics.